300 quick, easy, and cheap recipes! College life is busy. While the dining hall or takeout can be convenient, these shortcuts can take a toll on your maxed-out bank account, not to mention your waistline. 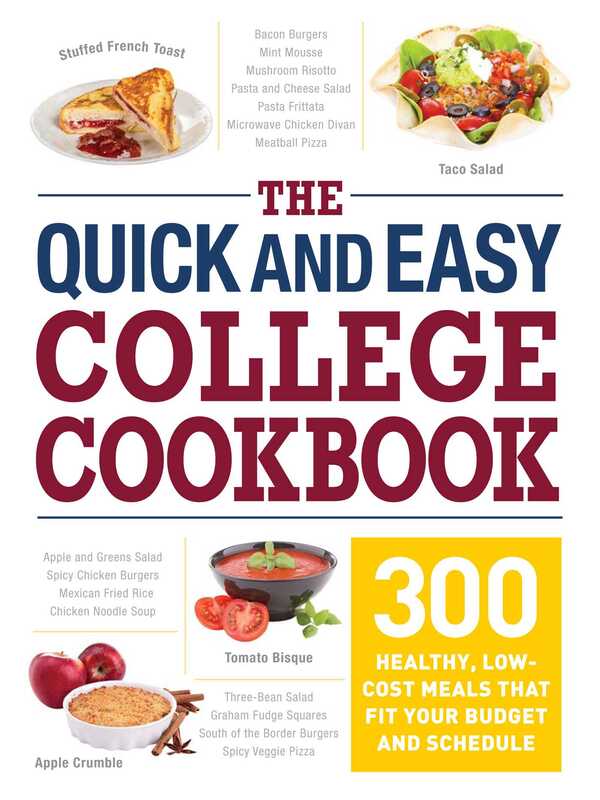 The Quick and Easy College Cookbook will help you create delicious and healthy recipes in a flash! With low-cost ingredients that still have high nutritional value, you're sure to love cooking up these recipes. The best part? No experience or fully equipped kitchen required! You'll find 300 recipes that range from hearty breakfasts to healthy study-session snacks to fuel an all-nighter. Even first-time cooks will succeed, with the help of a glossary of cooking terms and checklists of essential kitchen equipment and pantry staples. With hundreds of student favorites, like Huevos Rancheros, Korean Spicy Pork Tacos, and Peanut Butter Cups, this cookbook is required reading for any student who likes healthy home cooking.